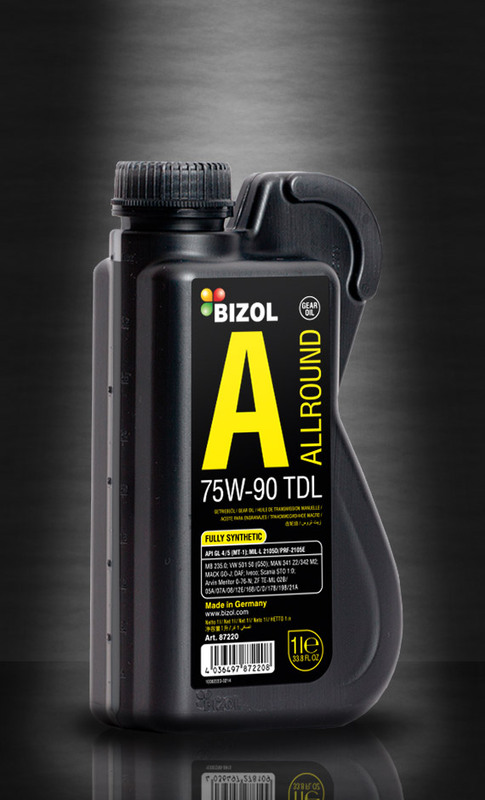 BIZOL Allround Gear Oil TDL 75W-90 is a fully synthetic, multi-grade gear oil for universal use. It meets almost all requirements of modern commercial vehicles regarding special lubrication for the entire drive line. TDL gear oil is perfectly suitable for lubricating all components of the drive line, from the sophisticated synchronized and non-synchronized manual gears to hypoid axle gears. Due to its characteristics as a high-performance allround product, it significantly contributes to the streamlining process in modern vehicle fleets. The reduction of friction due to optimum viscosity helps to save fuel. 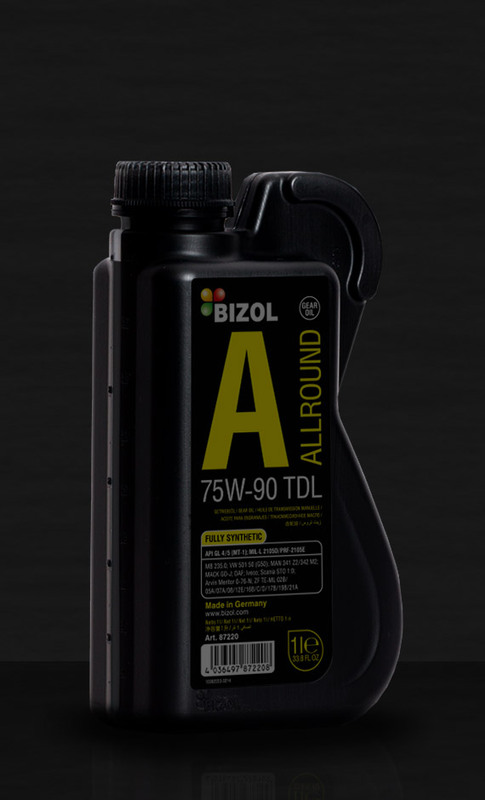 BIZOL Allround Gear Oil TDL 80W-90 is a multi-grade gear oil for universal use. It meets almost all requirements of modern commercial vehicles regarding special lubrication for the entire drive line. TDL gear (TDL for Total Drive Line) oil is perfectly suitable for lubricating all components of the drive line from the sophisticated synchronized and non-synchronised gears to hypoid axle gears. Due to the reduction in product variety and elimination of possible confusions, it significantly contributes to the streamlining process in modern vehicle fleets. The reduction of friction caused by the optimum viscosity also adds to fuel economy. BIZOL Technology Gear Oil GL5 75W-90 is a fully synthetic, high-performance, high-pressure transmission oil for heavily loaded main, hypoid transmissions which require a lubricant according to the API GL5 standard. High-quality, fully synthetic base oils and a modern additive technology guarantee a wide range of applications for this gear oil and optimum transmission lubrication under extreme conditions. 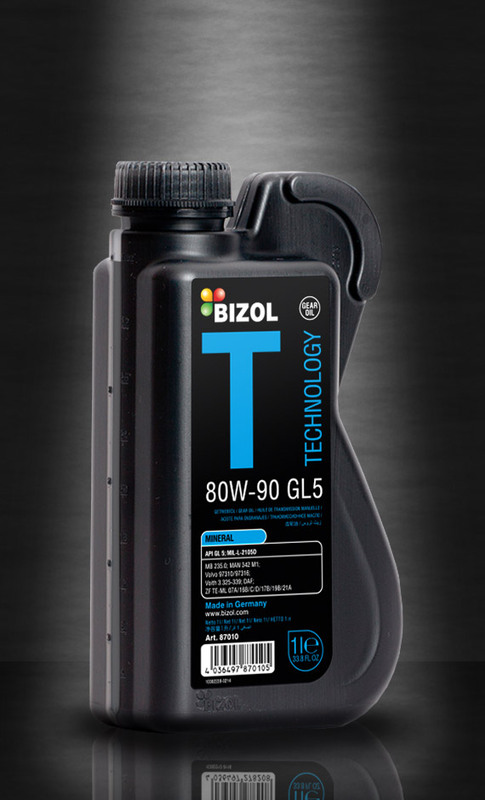 BIZOL Technology Gear Oil GL5 80W-90 is a multi-grade transmission oil which is resistant to temperature fluctuations and oxidation and enriched with agents for wear reduction at bearings and tooth flanks. Special additives prevent rust and foam formation. 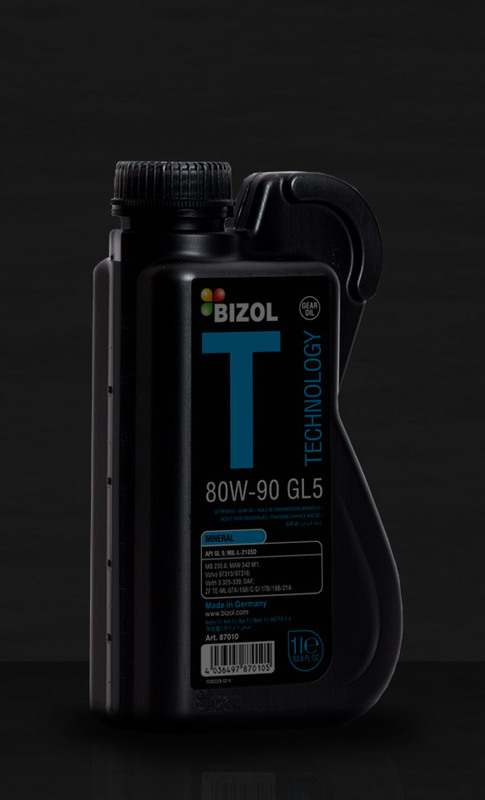 BIZOL Technology Gear Oil GL5 85W-90 LS is a hypoid transmission oil of the highest quality for extreme operational demands. It was speciallydeveloped for the use in vehicles with limited slip differential. BIZOL Technology Gear Oil GL5 85W-140 is a high-performance, high-pressure gear oil. It is manufactured from carefully selected base oils and multi-functional extreme pressure additives. It is suitable for axle drives, especially heavy-duty hypoid transmissions. 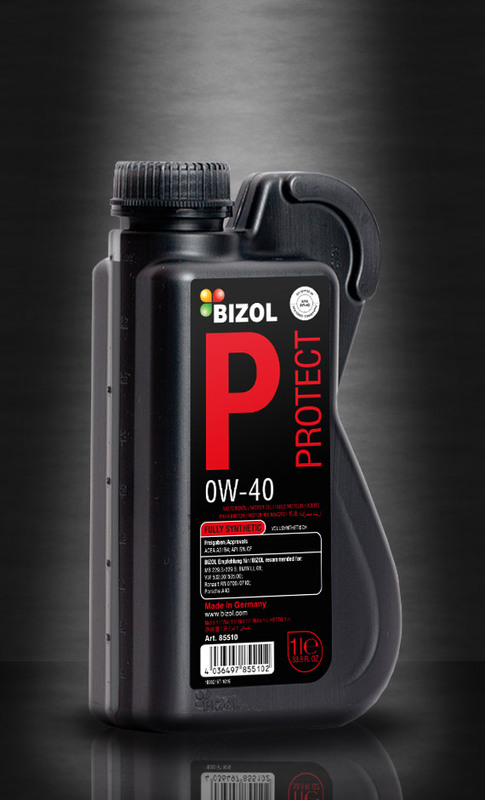 BIZOL Protect Gear Oil GL4 75W-80 is designed for the use in manual gearboxes with re/intarder, non-synchronized gearboxes and auxiliary transmissions. This gear oil can be used in commercial vehicles also with extended oil change intervals up to 320,000 km and in passenger cars. It can also be used when e.g. shifting problems occur with single grade oils / high viscosity API GL4 products. 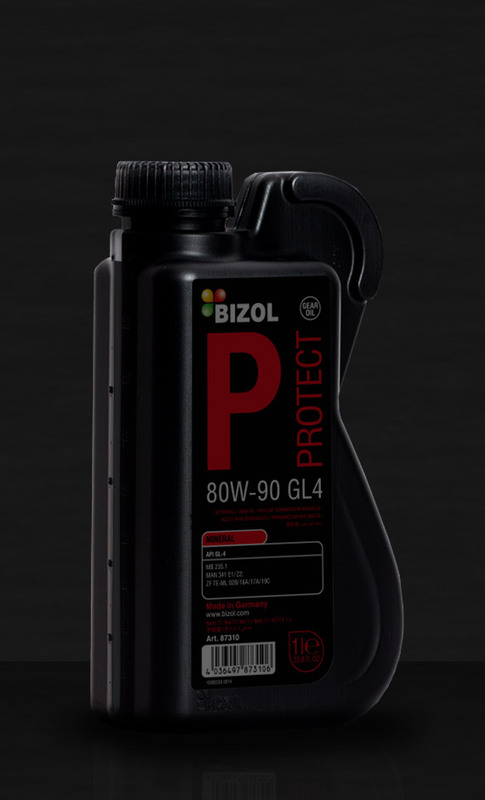 BIZOL Protect Gear Oil GL4 80W-90 is a mineral high-performance transmission oil for use in spur, bevel as well as worm gears. This product is utilized in synchronized and non-synchronized manual transmissions, driving gears of construction and agricultural machinery as well as tractors.